Hello there! 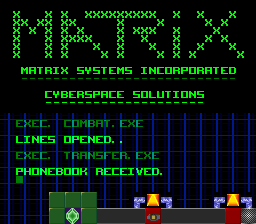 I'm a graphic designer with a passion for video games, fonts, and nostalgia, who likes to rebuild fonts from old-school video games. 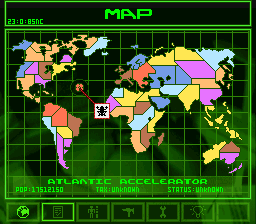 All my recreations are based on original pixel or bitmap fonts created by designers of the respective games they appeared in. As such they are not my own designs for the most part. 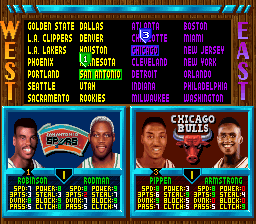 I do however add a lot of common special characters, numbers, and unique game-specific glyphs to every character set, as well as webfont-ready files for your own retro-powered homepage. If you have any questions, contact me! My fonts are free under a Attribution­-Non­Commercial­-Share­Alike license. If you wish to obtain a commercial license for one of my fonts, please contact me. If you like my work and want to donate a few coins to the cause, feel free to click here! 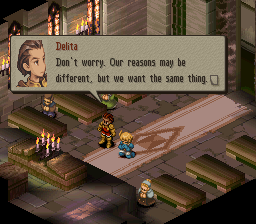 Altima is a mixed serif/sans-serif pixel font recreation based on the original main text font appearing in the Sony PlayStation video game Final Fantasy Tactics, developed by Square and released by Square & Sony in 1997. The character set of this font was greatly expanded with the full hiragana and katakana sets from the Japanese version as well as countless additional special characters, diacritic variants, unique glyphs and the like, each one of them designed to match the spirit and style of the original design. Countless additional special characters, zodiac signs, etc. 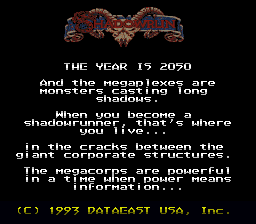 Arcology is a futuristic sans-serif pixel font recreation based on the original opening credit and title screen text font appearing in the SNES video game Shadowrun, developed by Beam Software and released by DataEast USA in 1993. The character set of this font was greatly expanded with countless additional special characters, diacritic variants, unique glyphs and the like, each one of them designed to match the spirit and style of the original font design. Countless additional special characters, diacritic variants, etc. 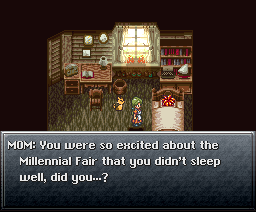 ChronoType is a proportional sans-serif pixel font recreation based on the original main text font appearing in the SNES video game Chrono Trigger, developed and released by Square in 1995. The character set of this font was greatly expanded with the full Japanese hiragana and katakana alphabets, countless additional special characters, Cyrillic and Greek letters, diacritic variants, unique glyphs and the like, each one of them designed to match the spirit and style of the original font design. Datajack is a monospaced sans-serif pixel font recreation based on the original Matrix computer font appearing in the SNES video game Shadowrun, developed by Beam Software and released by DataEast USA in 1993. Filgaia is a medieval sans-serif pixel font recreation based on the original main text font appearing in the Sony PlayStation video game Wild Arms, developed by Media Vision and released by Sony in 1996. This font includes a vast selection of additional diacritic variants and many more characters, each one of them designed to match the spirit and style of the original font design. 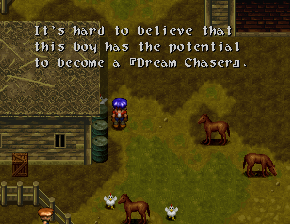 Gaiatype is a generously spaced sans-serif pixel font recreation based on the original main text font appearing in the SNES video game Terranigma, known as Tenchi Souzou in Japan, developed by Quintet and released by Enix in 1995. 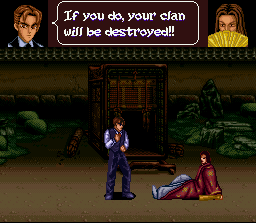 This font includes the full set of Japanese hiragana and katakana characters appearing in the Japanese version of the game and many additional characters designed to match the spirit and style of the original font design. 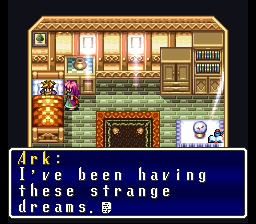 The Terranigma typeface is one variant of Quintet's trademark font used in all games of their SNES RPG trilogy (the first two games being Soul Blazer and Illusion of Gaia). It features the widest spacing of all three variants, and if you're interested in another one you might want to take a look at Codeman38's Illusion of Gaia recreation, called "Lunchtime Doubly So". Igiari is a proportional sans-serif pixel font recreation based on the original main text font appearing throughout the Ace Attorney video game series for the GameBoy Advance and Nintendo DS, known as Gyakuten Saiban in Japan, developed and released by Capcom between 2005 and 2011. 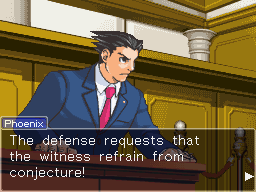 This font includes the full set of Japanese hiragana and katakana characters appearing in the Japanese version of Phoenix Wright: Ace Attorney and many additional characters, each one of them designed to match the spirit and style of the original font design. As a bonus, I also included the unique Borginian language dingbat glyphs. Ishmeria is a modern-style serif pixel font recreation based on the original main text font appearing in the SNES video game Gemfire, known as Super Royal Blood in Japan, which was developed and released by Koei in 1992. 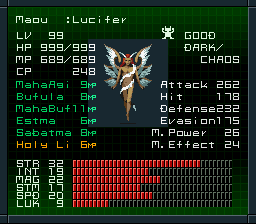 This font includes the full set of Japanese hiragana and katakana characters appearing in the Japanese version of the game and many additional characters, each one of them designed to match the spirit and style of the original font design. 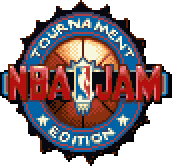 Jamboree is a minimalistic sans-serif pixel font recreation based on the original team and player name font appearing in the SNES versions of the video games NBA Jam, NBA Jam Tournament Edition, and NBA Hangtime, developed by Iguana Entertainment and Funcom, and released by Acclaim Entertainment and Midway Games between 1994 and 1996. 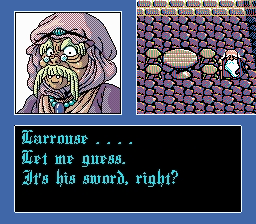 Kouryuu is a playful sans-serif pixel font recreation based on the original main text font appearing in the SNES video game Kouryuu no Mimi, developed and released by VAP in 1995, and the font used for the inofficial English fan translation of the game. This font includes a vast selection of additional diacritic variants, the full Japanese hiragana and katakana alphabet sets from the original Japanese version of the game, and many more characters, each one of them designed to match the spirit and style of the original font design. Megaten 20XX is a monospaced sans-serif pixel font recreation based on the original typeface appearing in the Super Famicom video game Shin Megami Tensei II, developed and released by Atlus in 1994. The character set of this font was notably expanded with many additional special characters, diacritic variants, unique glyphs, and the like, each one of them designed to match the spirit and style of the original font design. Also included is the full original set of Japanese characters. MMRock9 is a monospaced, sans-serif display pixel font recreation based on several variants of the familiar font appearing in the earliest and latest installments of the Mega Man video game series, known as Rockman in Japan, which was developed and released by Capcom throughout the many years between 1987 and 2012. As the reworked font for the later Mega Man 9 entry was the first to feature lower-case and lots of special characters, I particularly set my focus on the glyphs from this part, but I also included characters that tend to appear differently throughout the Mega Man series. 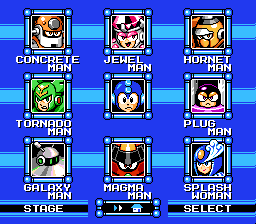 This font includes the full set of Japanese hiragana and katakana characters appearing in the Japanese versions of various Mega Man games and many additional characters as well as special logo glyphs, each one of them designed to match the spirit and style of the original font design. NDS12 is a sleek sans-serif pixel font recreation based on the original system font of the Nintendo DS handheld. This font includes full sets of the Japanese hiragana and katakana alphabets and countless additional characters, diacritic variants, buttons, arrows, unique glyphs, and many more, each one of them designed to match the spirit and style of the original font design. 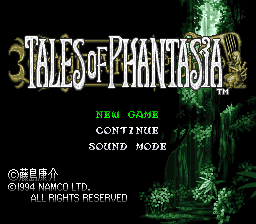 Phantalia is a monospaced sans-serif pixel font recreation based on an original font appearing in the SNES video game Tales of Phantasia, developed by Wolf Team and released by Namco in 1995. The character set of this font was notably expanded with many additional special characters, diacritic variants, unique glyphs and the like, each one of them designed to match the spirit and style of the original font design. Also included are the full hiragana and katakana character sets from the original Japanese version of the game. Many additional special characters, diacritic variants, etc. 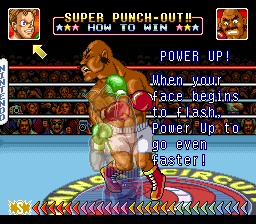 Quarlow is an easily readable sans-serif display pixel font recreation based on the original main text font appearing in the SNES video game Super Punch-Out! 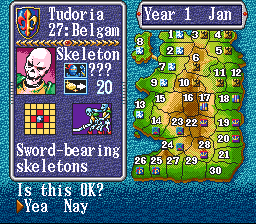 !, which was developed and released by Nintendo in 1994. This font includes the full set of Japanese hiragana and katakana characters appearing in the Japanese version of the game as well as in a hidden in-game name entry menu, a full cyrillic base character set, and many additional characters, each one of them designed to match the spirit and style of the original font design. 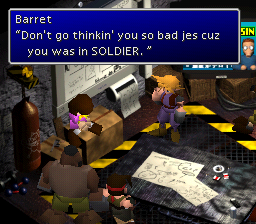 Reactor7 is a proportional sans-serif pixel font recreation based on the original main text font appearing in the Sony PlayStation version of the video game Final Fantasy VII, developed and released by Squaresoft in 1997. 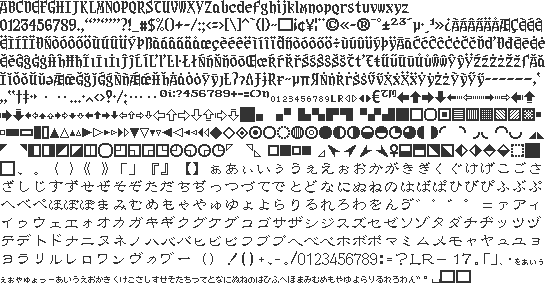 The character set of this font was greatly expanded with the complete hiragana and katakana sets from the original Japanese version, countless additional special characters, menu numbers, diacritic variants, unique glyphs and the like, each one of them designed to match the spirit and style of the original font design. 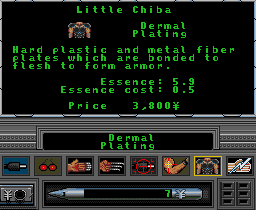 Renraku is a monospaced sans-serif pixel font recreation based on the original main text font appearing in the Sega Genesis version of the video game Shadowrun, developed by BlueSky Software and released by Sega in 1994. RoadWC98 is a proportional sans-serif pixel font recreation based on the original main text font appearing in the SNES video game FIFA: Road to World Cup 98, developed by XYZ Productions and released by Electronic Arts in 1997. 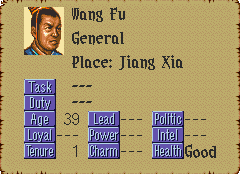 Sangoku4 is a modern-style serif pixel font recreation based on the original main text font appearing in the SNES video game Romance of The Three Kingdoms IV: Wall of Fire, known as Sangokushi IV in Japan, which was developed and released by Koei in 1994. 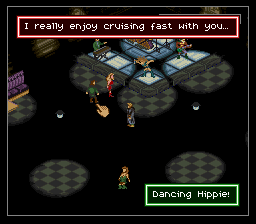 Steelflight is a proportional sans-serif pixel font recreation based on the original main text font appearing in the SNES video game Shadowrun, developed by Beam Software and released by DataEast USA in 1993. Syntricate is a monospaced sans-serif pixel font recreation based on two original fonts appearing in the SNES video game Syndicate, developed by Bullfrog Productions and released by Ocean Software in 1993. The character set of this font was greatly expanded with many additional special characters, diacritic variants, unique glyphs and the like, each one of them designed to match the spirit and style of the original font design. Also included is the full katakana character set from the original Japanese version of the game. 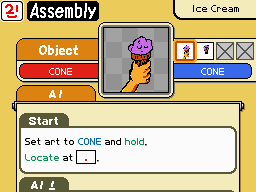 WWareTypeA is a playful, proportional sans-serif font recreation based on an original pixel font appearing in the game WarioWare: D.I.Y., which was developed by Intelligent Systems and Nintendo SPD, and released by Nintendo for the Nintendo DS in 2009. The character set of this font was notably expanded with additional special characters, diacritic variants, unique glyphs and the like, each one of them designed to match the spirit and style of the original font design. WWareTypeB is a playful, proportional sans-serif font recreation based on an original pixel font appearing in the game WarioWare: D.I.Y., which was developed by Intelligent Systems and Nintendo SPD, and released by Nintendo for the Nintendo DS in 2009. WWareTypeC is a playful, proportional sans-serif font recreation based on an original pixel font appearing in the game WarioWare: D.I.Y., which was developed by Intelligent Systems and Nintendo SPD, and released by Nintendo for the Nintendo DS in 2009. Xentype is an ornate, medieval-style serif pixel font recreation of the Blackletter category, based on the larger original main dialog font appearing in the game Knights of Xentar, known as Dragon Knight III in Japan, which was developed by ELF Corporation and released by Megatech Software for PC DOS in 1995 and even earlier for the NEC PC-8801 and various other systems in 1991.